Hey all, the Madrid Masters draw is out and so far it looks like Federer will be playing. Many fans have been expecting the arrival of a new baby which would keep him out of the tournament but he's in the draw and most likely en route to the Caja Magica this weekend. Draw wise it's another reasonable one and like I said before there is no such thing as difficult or easy draws in Masters 1000's as you're going to play top tier opponents after 1 or 2 matches regardless. Roger has landed in Nadal's half this time and could meet him for the first time since the Australian Open Semi Final. Nadal has been slumping recently so now could be a very opportune time for Roger to break the shackles especially on a quicker type of clay that has served him well over the years. Although I'm not sure Nadal makes the semis here so it might not happen. I think the main talking points will be Nadal's form, Djokovic's wrist and whether or not Stan will keep up his form from Monte Carlo. As for Federer there's not a whole lot of hype or question marks surrounding his game, he's been solid this year and I expect similar here. He's clearly not favourite but I think he will make the Quarter Finals at least and comes in slightly under the radar despite making a clay final in his first appearance on the surface this year. Monte Carlo was a disappointing final but overall a good start to the clay season, hopefully he continues that here and maintains the standard he's set since the end of 2013. The quicker court should held him and the ball doesn't bounce as high here, two things very much in his favour. Full .PDF draw available here. I think we're going to get a surprise winner in Madrid this year. Berdych or Raonic are ones that I see having a decent tournament and could pull it out the bag. I can't see Nadal winning it based on form but you can never rule him out on clay, Djokovic is an unknown as to whether his wrist is 100%, he might take it easy which isn't really his style of play so could cost him. Federer I think makes the Quarter Finals and I can see Tsonga been his opponent there. I think Simon will provide a test like usual for him in round 2 though if they play. Not a great first match for the GOAT as Simon causes him a ton of problems. Hopefully a Rome 2013 style match awaits us rather than a French Open 2013 one. Nishikori could factor too but has he got the weapons to win one of the bigger tournaments? Not sure on that one. Perhaps Isner can get some success on clay too here after a pretty poor season. What do you guys think? Who is winning this one? I think Stan the Man has a shot as well given his current form. As long as someone other than Nadal or Djoker wins, and Fed makes the semis I’m happy. Me too, looking good after Monte Carlo and last years finalist. Berdych winner :O Why Jonathan, why? Just a tiny prediction, I think he can do well in these conditions. Berdych should have won a lot more titles, just mentally terrible. Will no doubt win the Portuguese Open! Berlocq in the final! Hey I see Nadull joining Fed at Halle! Always says that and never appears!! If Dull was going to lose to Berdych it would be in his current spell of form. A tough draw with Simon in the second I agree with that, but Fed in form and in Madrid should be rather comfortable win. I’m not convinced Fed will actually play yet and there could be a last minute withdrawel to attend to his family. As for joker’s I’m not with Berdych but Raonic could make one, and Nishikori will step up one day! But my main joker is Dimitrov, this could be the one for him. But my favorite is Stan or Fed if he plays and dosen’t face Nadal! Even though Nadal is in a slump, the mental issue for Fed is to big of a mountain to climb on clay. Forget Simon who is a downward curve, robredo is a much bigger risk! Ey ey sir, Simon is forgotten! Or maybe not, Simon has the weapons it takes to hurt Fed i.e great defence, on a downcurve or not. Yes Robredo won over Fed at US open but Fed was at his lowest. 2014 Fed will beat Robredo anytime, Robredo is good but everything he can Fed does a little better. I agree with Mark, Simon is more of a threat than Robredo. Great mover and very flat hitter, should do well on this court. Robredo isn’t a danger, USO loss was an anomaly, can’t see him beating Fed here. And has already been beaten by Batitsta-agut!!! Slightly annoyed by Novak’s ŵithdrawal! Why can’t they do this before the draw is done…. Stan winning back to back Masters 1000 would be pretty good. Blue clay was much better to watch, could see the ball far easier! You know they really did meet the visibility objective with the blue clay. It’s too bad it was so slick along with it. Bet that’s something they could figure out eventually… wonder how many players would show up if they had another blue clay tournament??? Player needs to be adaptive to the court, not the court that adjusting to what player wants. My opinion (and I think it is already discussed here couple times) variety of court is good for tennis, every player have their strength and weakness so we’ll see more type of game, how the player manage to adapt and survive on different court, also better competition during the season. With the same court type, it will be all the same game and same type of player that win, boring. Hi guys! 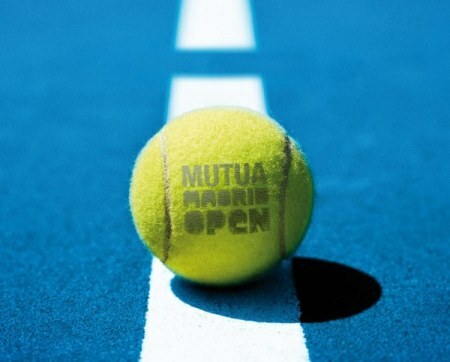 The most interesting match up is prob Murray v Almagro! Hv to see Murray losing that! Novak has easiest looking draw but Fognini cld rise to the occasion! Nishikori v Stan QF cld decide the winner! Berdych? Wld be vvv surprised! Think Fed wld be happy with Mirka/baby allowing him to get to QF, 360 pts, some rest and then onwards to Rome and RG, but he might surprise us and go all the way! My gut instinct says both Rafa and Novak lose early! The faster court and the altitude can help Berdych, but I didn’t see him as a winner. I like Nishikori as a darkhorse. Beside Thiem can be a suprise. In the end Rafa will rise his confidence with a win at Madrid. For me business as usual will come back, Rafa against Nole in the final. Half finals: Rafa vs. GOAT and Nole vs. Nishikori. Nishikori will be there or there abouts in most tournaments, but does he have that edge to win a big tournament? I’m not sure. Thanks, Jonathan. You’ve analysed the draw very well. I also agree with you that this year there is no clear favourite. Unfortunately, I could not see a winner coming from the 2nd tier players. I still stick to the top four seeds with Roger being my pick, though they’ve all got tough matches. I don’t mind being boring here. Roger generally plays well here. Mind you, Roger has beaten Dull here before. A challenge from Simon? I don’t see that. Simon has not been in a good form lately.Tsonga has never done well here. I agree with Susie that I don’t see Andy passing Almagro. Nole has to go through Cilic, possibly Fognini/Dolgo or Gulbis, not easy. Dull will have to play Haas first before meeting Berdych. Stan will have to take out Nishikori/Raonic before meeting Nole, though he reached final last year. If Roger plays, I see him do well, reaching semi at least. With a bit of luck, Roger will walk away with title. Everybody assumes just because he is in the draw that he is still playing. Has anybody seen Roger on a tennis court since MC? Yeah no practice photos anywhere. But doesn’t he take that ferry he posted a pic of the other day to play on some courts somewhere? Isn’t QF 180 points? He has 90 that will drop off from last year, so QF would give him a net increase of 90. SF, 360 points, would give him a net increase of 270. I’m frankly surprised Roger’s still in the draw, so I’m not sure what to think about that; massive confidence and energy from his soon-to-be-born offspring, or distracted & out of it for same reason? Really don’t know what to think. I guess we’ll see! I don’t see Nadal in any trouble until the quarters even if he’s not playing well. Same with Djokovic, unless he gets Gulbis or Dolgo on an on-fire day AND his wrist is bothering him. I’ve been keeping an eye on Bautista-Agut – he’s been having some surprising results, though Robredo in the 1st round will be a big test. Of course if he does really well his reward might be to meet Roger in the 3rd round. Will be interesting to see where Murray is, post-injury and post-Ivan. And Stan too, of course. Neat that a repeat all-Swiss final is at least theoretically possible! … unless the whole family shows up, kids & new baby (ies) & all, ha-ha. Then it would definitely be massive confidence and energy! Thanks for the prompt draw post, Jonathan. Welcome back! Weird loss v Berlocq today but then again Fognini had an odd defeat v Klizan! What a season! My YouTube channel just reached over 1,000,000 views (total), so I’d like to thank you all for contributing! Jonathan has been very generous in sharing my videos on this blog, many thanks! Ankur, We shall make this the most popular post EVER, 308, 42 more to go! That’s fantastic! Keep at it, love your work, Conal. Good work Conal, I’m 50% of the way there, watch out 😉 although I stopped uploading now, ATP clamping down big time. Yeah, I’m wondering if it will be possible to upload the annual ‘RF Best Points of 2014’, with the current situation. Might have to do it on another site like Vimeo. I wanted that Federer Murray clay match. Federer will smoke Murray. But Dull got lucky again. Yeah would be interesting to see Fed vs Mugray on clay. Never played? It feels to me that tennis is changing. It seems to be more unpredictable now. Nadal and Murray in a slump. Delpo out for a while, Djoker with his wrist. A lot of other players having the belief to win big matches. I don’t know about Berdych though. He didn’t play a good match today and Raonic is out. Good thing for Roger, he will get more rest between some matches. The stadium in Madrid is incredibly ugly in my opinion. With tennis in Europe for a stretch it will be easy for Roger to jump on a plane home if need be. I still say the baby will arrive between Rome and RG. Conal, what is the link to your youtube channel? I agree with you Sue. The stadium in Madrid is ugly. How they can let this happen ? With good examples of beauty stadiums in ATP 1000, they could make a better place. And that car there behind, what a bad taste. I’m not taking him lightly, still could easily win this event but on form not as likely as usual I don’t think. I just can’t take Berdych seriously in his football kit and in pale pink? I may be the only one who actually kind of likes Berdych’s outfit this year. Miles better than Fed’s…. Just imagine Fed in the stripes & see if it doesn’t suddenly look better! Fed takes it in 2 tight sets. Ok, if he does play, when wld first match be? Wednesday? So if that’s true, he arrives Sunday? All v quiet!! Thanks Jonathan. I agree with those that find this one difficult to predict. So many players with more confidence now that they can beat the top guys. Nishikori is a real threat, and maybe Dimitrov but not so sure about him. Berdych I think is going backwards a bit these days, but you never know. Would love to see Roger win this one obviously. We’ll see. I’m assuming Mirka won’t be there but wonder if Stefan will turn up? Not sure on Nishikori, he is getting a lot of hype after winning Barcelona. Lot of talent for sure but big title winner? He has only ever beaten 2 top 10 players in a tournament twice, Miami this year and Basel in 2011, and he withdrew before the next match in Miami. For me he is too fragile. Decent draw… Let’s hope Fed can go deep here. People talking about Nishikori and yes, he is threat to anyone. He defeated Roger in their last two meetings (including one here). But look at his possible journey here…Garcia-Lopez (should he beat Jonathan’s darkhorse Andujar), Raonic, Wawrinka, Nole/Fognini/Ferrer, Roger/Rafa. OOps!! I think Stan has a good chance. Dopal is so lucky, yikes! Just seen a tweet from someone saying Roger due to arrive in Madrid on Monday. I saw that too, but as far as I can tell it comes from a source-less inagist post. Could be true, of course. The same inagist post also says Novak delayed his arrival in Madrid – he had been scheduled to participate in the charity event – & is now expected to arrive today. That part actually quotes what looks like a news release, though I can’t find the original on the mutua madrid site. Novak went to see his doc, and now of course, post draw, has pulled out! Grrr! Should have pulled out before then I wouldn’t have had to go to the trouble of writing about him in this post. Roger has a decent draw based on his current form. Qtrs against Murray, that will be one hell of a match to watch. My only concern is him playing with 2 minds out there on court – playing tennis and mirka’s pregnancy. It could impact Roger a little. The suspense when she is due to delivery is killing me badly. From the looks of it, likelihood Roger to skip RG is extremely high 🙁 FO will be so boring without him. Come on… This isn’t a blog, it’s fine to say you support Federer but to hope for a one sided drilling like Rome 2013 rather than an epic like the French Open takes it too far. Be a bit more nuanced in your opinions. The Simon match at the FO was great to watch but if we’re looking at a Masters 1000 I want Fed to try and win he can do without going the distance in the second round. Which is why I want a Rome 2013 type match; which was also great as it happens because Fed schooled the guy who didn’t play that badly. Before we start talking about Roger actually playing matches, doesn’t he have to be at the tournament. Also he can play either Paire or Simon. If decides to show up at the tournament, Roger needs to beat Paire or Simon handily so it doesn’t hurt him in later rounds. Here’s to one sided beatdowns against Paire or Simon because it means Roger is playing good tennis. GO FED! Djokovic has withdrawn from Madrid.Will Federer follow suit ? Nopes. He will withdraw from Rome. What makes you sure of that ? 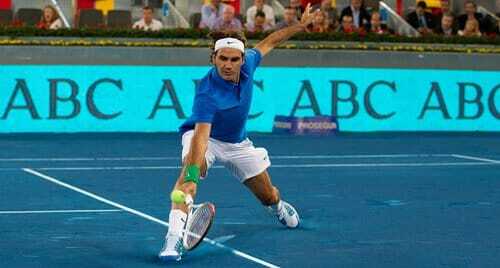 There is no proof that Roger is playing Madrid other than no announcement has been made and he is still in the draw. He is late arriving to the tournament and hasn’t been seen preparing for Madrid. He’s been riding the ferry and watching soccer, that’s it. Come to that, there’s no *proof* that he *isn’t* playing Madrid, either. If he’s not due to play until Wednesday, there’s probably no valid reason for him to turn up until tomorrow (or rather, later on today), especially if he wants to spend the time with his heavily-pregnant wife. And what does “hasn’t been seen preparing” mean? Has someone been following him around all day and seen that he hasn’t been practising? Has he not picked up a racquet at all since MC, or is it just that he’s found somewhere away from prying eyes to practise? (or, shock horror, that someone *has* spotted him but hasn’t posted it all over the Internet? It *could* happen.) If you’re simply basing your assumptions on what he’s posted on Twitter, then we know he’s pretty selective about what he posts on there, so it’s inconclusive at best. And “that’s” clearly *not* “it”: he can’t only have been watching soccer and riding ferries for the past couple of weeks! Alternatively, I suppose, the baby might already have been born, and they may just not have made it public yet to preserve their privacy. Ultimately, who knows? They do, and we don’t, and I guess it’ll stay that way for a little longer yet. Fans think that Roger publicises his entire life on Twitter 😀 I think he’s probably done more than ride a ferry and watch football in 2 weeks. No Jon, that´s actually it! He hasen´t done anything else at all! Boring life he must have! ATP site article says his “right arm injury has flared up again”. Sounds to me like it never went away. Not good news. Yeah, smart move though by not playing I think. Agreed, only sensible thing to do, though I’m sure he’s not best pleased. Got to optimize his chances for FO. And they’ve started playing R1, so that means a lucky loser takes his spot, right? The draw stays as is but with a substitution? Yes, Frenchman Paul-Henri Mathieu is now in the draw. With a bye to R2, thank you very much! OK my apologies, I must have been hallucinating. Can’t find it again. Very perplexed. If you can’t find it, so it didn’t happen. I need something more concrete. Sorry. Maybe she deleted it. Would be nice to have some news. Fu** you kfedfan. Talk decently or this is how everyone is going to talk to you. [email protected]@k off! It was deleted because it wasn’t true. I must hit a nerve to get a response like that. When you mean talk decent, you not ask for facts but deal in speculation! I can see pretty clearly from here that you are completely jobless in life and are just trolling here for fun.Continue your good work. C’mon guys, can’t we disagree without insults or swear words? Nice Try. That link does not confirm Roger is in Madrid. I want to see a picture somewhere in Madrid and is ready to play. I am a Fed too. You attacking me just I asked for proof of Roger playing in Madrid only shows how psycho you are. Jobless, really? Nobody’s trolling. Roger said he could miss tournament due to Mirka giving birth. You going crazy just shows how imbalanced you are. KFedFan, here’s proof. Nadal personally picked up Roger in his private jet. LOL Sid. Looking cold in Europe, I hope Fed wears his undershirt. I have every right to ask Roger is even in Madrid. Why talk about any matches or how far he is going to go in the tournament when he might not play. I am not a troll because I express opinion that does not I involve Nadal and PEDS. No there are people so obsessed with Roger playing they will go on social media and lie. It is okay to speculate if Roger is going to play. Comparing Nadal and PED’s and you obsession with Roger’s whereabouts are two things not even in the same ball park. I suggest you do some thorough research about the PED issue. Obsessed with his whereabouts? Duh! So as a fed fan it is not a valid question to wonder if he’s going to play the tournament before making predictions? O RLY. First, you have every right to ask if Roger is even at Madrid, yes you have. But others also have every right to think that Roger is already at Madrid, right? When this people trying to give the prove by posted some link here, if you don’t believe, fine, just simply post another link that show Roger is not at Madrid, simple. Second, when you ask ‘why talk about any matches or how far he is going to go in the tournament when he might not play?’ Come on, Roger name is in the draw, officially, that’s why. We don’t know if he is going to withdraw before even arrived madrid, or withdraw after first match, or second match, or at QF etc due to baby delivery. But I think it is better that we talk and predict even if Roger withdraw, rather than not talk and not predict then Roger is playing, right? Third, when you said ‘i am not troll because i express the opinion that does not involve Nadal and PEDS’, you definitely is a troll by saying that. You are trying to offence a person by that. Maybe you act like this only because you want to say, ‘I told you, Roger is not playing’, if Roger really is not playing. Not sure why people are arguing about Fed playing or not playing Madrid. I have some breaking news though that puts all your rumours to bed. Roger is scheduled to play Madrid, but he may not play Madrid. We will find out this week. Stay tuned. Carlos Berloq is a set & a break up over Berdych in the Portugal final, what’s up with that? Congrats to Berlocq but shocking from Berdscat. Berlocq is 31 and has 2 titles, one last year and then yesterdays. Resurgence. Sounds like me! !improve with age!! Good win, Boredo has been poor this year compared with last. Ai ai ai Berdych, what did you do?? No Stan, no David, even Raonic out of the way…. still you lost??? Anyone saw the match? Exactly like Roger vs Stan at MC. Roger won the 1st set (Berdych with even giving a bagel !!!). Then just like Roger lost the 2nd set, so did Berdych. And just like Roger went 0-4 in the 3rd, so did Berdych. And he lost. It really isn’t easy if you are the favourite and people expect you to win no matter what. And it really is difficult to win the 3rd, after your opponent won the 2nd set and is gaining more confidence…..
Berdy is a choker in final matches and that’s why he only has what like 10 career singles titles. No big surprise. You still sweatin’ Roger losing in MC? Haha cool video Sid, I had not seen it. Stan’s backhand prob best in the world this year. Serious power. First two points, he made Roger look like an amateur. After watching those, I just wanted to watch all of it. A lot of power in those backhands! Yeah some seriously sick hitting from Stan. LOL! When I said Roger wasn’t even in Madrid, I told that I was being obsessive, a troll and “[email protected] you.” But you get to ask for his phone number. What is so funny is fans on different tennis sites and forums are like “GO FED!” And he’s not even there at this particular moment. Roger is like Shhhh! maybe nobody will notice. So far, so good, Go Fed! Relax KFedFan, Utch is just joking…. We can make jokes you know…. please relax…. Hey Susie, sorry to hear about someone dying so young. You are right. Sympathy for her family. But, can you please tell who she is? Hey there! Hv a read of these! Had to battle through adversity her whole career. Played with a liver complaint her whole life. Just makes you stop and think. Brave! @Katyani – how about you use this thing called Google and look her up. Neither did I! Just terrible. Must hv had it undetected for a while. Tough for her family. Sorry Susie for asking, I should have looked it up on Google immediately. But such a great article you linked. Was so moved by all the collegues who tweeted something about the loss. Just goes to show, they are opponents, but when you spent so much time with each other on tour you also become very close…. So sad… lived as a fighter and died as a fighter…. And you are also right Susie. While someone lost her life, we are all worried of Roger will play Madrid….. Makes you show what is important in life. Yes, very sad news. It all seems to have happened very quickly since she retired. RIP Elena. Wow Susie, thanks for the heads up. I too had no idea it was this bad… I guess with recent good news on Ross Hutchins, we forget that outcomes are not always so positive. Very sad indeed for Elena’s passing at such young age. I actually watched her play at the Nottingham Open about 10 years ago. I thought back then that this girl has got a lot of potential – she hit balls hard and flat. Quickly she became British No 1. … RIP. PS Fed due to arrive today so why not wait and see. Hope he is on the plane! That account is about as reliable as a chocolate fireguard 😀 1 in 10 rumours turn out to be correct. Agree, just adding fuel to the fire… Haha! Off to play tennis on this gorgeous Bank holiday! Rare! If this carries on, I might hv to ask PseudoFed to play!! Ok, video of him practising with Youzhny!!! Proof! I hope! I have been following the blog for a couple of years now and really love your insights into the world of tennis and the GOAT, RF. I do however, being a South African and played tennis for SA, would love to have your views on our only player Kevin Anderson. Do you rate him, do you think he will ever make top 10? What do you think he needs more? Anderson is very talented, top 10 talent I think but he’s very bad mentally. Seen him choke in a lot of matches so it could hold him back. I think he should actually be ranked higher with his game but in the clutch he’s bad. Not sure how you can improve that though, so he might just be always at the kind of level he’s at now. What do you think of him? Can he win some 500’s or 1000’s? We are just waiting for it. with this delay, i have an excited feeling that the baby is due next week :). Fed might lose very early in this tourney. Benoit retires after Gilles wins the first two games – ???!!! Yes, you’re right, something to do with the Achilles’ tendon? Where did you see that Utch? Nowhere. It is a smiley face after the comment. Roger is skipping Madrid because there is no way he is arriving a day or hours before playing his first match. What is so funny tennis sites or forums where people following the game closely haven’t noticed Roger is not at the tournament until now. I am big Fed fan and noticed it right away because I saw Roger’s his tweets about being stuck in traffic, the ferry and he went to watch soccer but no real preparation to play Madrid. Don’t expect him in Rome either. Top cheat, in the land of cheats! Yup, only Spanish would appreciate a cheater, it takes one to know one ! YAAYY!!! He’s withdrawn!!! A BABY FED IS COMING!!!! Thanks KFedFAN, i c the ‘weeks’ in his message. Probably trying to throw us of course so we keep speculating about the birth, it could be as early as this week :). We will wait and see…All the best Fed!!! Our prayers are with you all the way. Exciting times then for the Federer family. Wishing them all the best and looking forward to the news! Roger playing at MC now make a lot more sense now. Good decision by Roger to withdraw which makes Madrid a total bust. Nadal is prime to win this and can shoot himself if he doesn’t. Unless Stan is the one the pulls the trigger. Wouldn’t that be sweet? Roger wasn’t looking for approval to be with his wife while she gives birth to “their” child. Roger’s decisions to play tournaments is not based on Nadal. Also Nadal didn’t win the AO, Indian Wells, Miami, MC or Barcelona. My point is never assume anything. I am not a troll. Roger had been saying forever will have to be off the tour to be with Mirka. Are you shocked? Roger lost early in Madrid last year. Rome he is going to lose 600 points. It’s okay to be upset that Roger’s not playing, but to be upset because you want Roger to stick it to Nadal. Nadal hasn’t even looked close to being dominant on clay this year. Roger will be ready for the FO. GO Fed and Mirka! Why get all upset when I said Roger will not be Madrid because he had been preparing or even been seen in Madrid? It was a valid question. Roger missing MC and Rome was not out of the question so why get upset about it. Internet bullies don’t deserve respect. I am Fed Fan only I am not imbalanced. Ajay, to who are you talking to? I only saw a box without any letter on it? Jonathan, is this an error or something? Ajay, better speak to us, the people that really enjoy this blog (big thanks to Jonathan), enjoy reading Jonathan prediction for the future match, discuss how far Roger will go on each tournament, have a big hope that Roger won’t missed any tournament, but perfectly fine when he missed it for family time. better speak to us buddy, rather than having to talk to empty comment box. Amar I was speaking to Kfedfan.And he clearly knows it. yeah, very sweet Dippy. It just might happen or Nadal may get knocked out tomorrow by Chardy. Scrutinising it now, I think Federer should skip Rome as well as the French Open and begin practising for Wimbledon. Edberg can join him and they can start early preparation on grass for a Wimbledon title. Stop it, Roger is not skipping the FO if doesn’t have to. Why do Fed fan’s think Roger has little regard for the French Open where he will just skip it? Also Severin is Roger’s coach and Roger has won Wimbledon 7 times without Edberg. Edberg is not some magic cure to winning any title. The only title won in Dubai, Severin was coaching Roger, not Edberg. Why is each and EVERY comment of yours so bitter KFedfan? Jeez, seriously!! Why would a fan tell Fed to just skip the FO and Severin Luthi is Roger’s coach because he is around Roger a lot more than Edberg is. We all know Fed Fans have little regard for the French Open and want Roger to just the French Open out of bitterness is more bitter than any comment I’ve made. Roget never skip a GS out of bitterness to all his eggs into winning Wimbledon anyway. Severin Luthi doesn’t get the credit he deserves because he is seen as something less than a coach to Roger. My point is Edberg and Annacone are getting too much credit. Hey Utch – definitely skipping Rome but RG is a 50/50 decision depending how Mirka and baby are getting along. Let’s pray for both Mirka and baby, wondering if its twin again or perhaps a boy. Go Roger!!! Bit worried about no 4 slot if he does play FO! Wld need to hope Berdych and Feerer lose in both early!!! All the best to Mirka! I think Roger will defintley play both Rome and RG, just for the fact that he dosen´t want to stay at home and listen to new baby crying and and letting it disturb his sleep. He has tried that with the twins, and I think he has the opinion that Mirka could raise the new baby or babies alone so he can travel the tour alone and win as many titles as possible. Why do I think this? because Fed has been tweeting and texting me all week about this so I have the definete proof for all this. And the only reason he skipped Madrid is not to look all heartless in front of the media. And why has Roger been doing this, because I am his new coach, not Edberg and defintley not Severin, and I´m influating him with my major fan obsession feelings and he´s totally on board with this. So there it is, it´s out, if anyone have any kind of bizarre bitter question or things they need answers for about our hero, let me know, I can help you for sure! I love this new and improved Roger who is availible for every zane and lesser zane fan out there. My goodness, I’m typing per second with excitement. No more typing for me for the next 24hours. It will all work out in the end. Remember 2009. Except Madrid was after Rome in 2009. Madrid Open was played after Rome in 2009 and 2010. Take a wild guess why the two tournaments were switched after 2010. Wasn’t there some talk about Madrid not actually being terribly similar conditions to RG, due to the altitude, so it made more sense to have Rome, with more RG-like conditions, closer to RG? All the best to Federer family 🙂 . I think that Roger should be very good at changing nappies now after all that ptactices 🙂 🙂 . I’m here Utch. Getting as excited about new baby announcement as about tennis! Wondering if I should pop on a train to Basil and check things out for myself (only joking folks just in case anyone doesn’t realise that). Only slight downer for me is that I just took about a month’s subscription to TennisTV on my iPad, which doesn’t cover the slams of course. So I’m now trying to get interested in Madrid anyway. Joking there too. Love tennis with or without Roger, but prefer it with Roger. Come on Fog! I want him to beat Dolgopolov. Dog won against the Fog. Here! Just concerned about him keeping no 4 slot but as ever he is in charge and knows what he is doing! Hey Utch, a slow response but I’m here too 🙂 I’ve just heard the news about the latest little federer’s! Really happy for Roger and Mirka! Still surprised at the timing of this announcement. I notice the phrasing of “the next few exciting weeks” doesn’t actually preclude the possibility the baby’s already here. Still, while I don’t know – or need to know – what his/their reasons are, I think we can be confident that the reasons exist, and the decision was taken thoughtfully. Am now going to try to just chillax, as Roger says, until we hear more. I think he’s probably going to skip Rome as well. All the best to the little roger(s)! Vibhu on the the Roger Federer Fans website says so, and I trust his maths completely. Yes, but we’re not there yet. He already replaced the Rome finalist points by making the final in Monte Carlo, where he had 0 points dropping off from 2013. Yes, he’ll lose points relative to where he is NOW, but only 90 points (from last year’s Madrid) relative to the whole MC-Madrid-Rome stretch. Roger just tweeted that Mirka had two boys, Leo and Lenny. So he and Mirka have two twin daughters and two twin sons. Yeah 4 kids. What’s up with the late withdrawals? The reasons for withdrawal are legitimate, but I have little understanding why they (Rog and Novak) can’t announce their decision earlier as to not completely mess up the draw. Luckily (?) Rog was drawn top half and Wawrinka bottom, but it could easily (if the draws are not rigged that is) be the other way around. Tbh, I have more understanding for Novak since it’s possible that he hoped his injury would improve enough for him to play, but family matters can be decided quicker, it’s not like Mirka got pregnant yesterday and many assumed (judging by appearance) that due date must be very close. I must wonder whether the tournament asked them as top draws to not withdraw early to not disturb ticket sales. If that is the reason, I feel it is somewhat dishonest toward people who bought tickets there and does nothing to promote the sport. You probably have a point about the ticket sales thing. Fed I think left it till the last minute as Mirka just gave birth. Good point about possible requests from venues, although I agree it sullies the whole thing a bit. Congratulation for Roger and Mirka! Leo Federer and Lenny Federer 🙂 Oh my God, congrats to the Goat and little future goats…..
What are the odds of him and Mirka having twin girls and boys? Probably baffling Swiss doctors. He better get an extension added onto his house. I bet Lynette and Robert aren’t looking forward to babysitting. Unreal! Only Roger! Well done Mirka!! Goat both! Even non-tennis fans, or celeb watchers are excited about the twin boys! Congrats to the maestro, and may he spend some nice time in family. Hope Mirka’s okay. 4 kids in 2 attempts. Wonder if he has enough cash to look after all 4. Especially with no Madrid prize money. He could auction one of them off? Told you guys last year….. Roger is going to play on till he’s 40 or 45 or older…. How else is he going to pay for all the nanny’s and their hotel and travel expenses??? Wow, this serious baby making GOAT machine. What are the odds 2nd set of twins. Tweet feedbacks are going crazy about it and so am I….am sure the boys and girls will be as lovely as their parents. Roger has enough dough to last a while. Seriously Nadal can shoot himself if he doesn’t win Madrid, the draw is wide open now. Personally I would buy a black baby, they are a much better accessory. You know, give him a nice traditional African name, like OJ. OK it seems it is a boy’s name! I was over excited there for a while! Haha! Novak needs to do something special now! Mixed doubles 2015 anyone?? Federer and Federer v Federer and Federer!! Wanda, good comment, love it! My wish is for good health for the Mother, Mirka, and her two sweet baby boys. Congratuations to Roger and Family. Now, Roger may train his children as tennis players, and make “Federer” win the men’s singles, men’s doubles, women’s singles, women’s doubles and mixed doubles! And God willing we might see Roger in Rome??!! Roger said Yeap! So my wife can recover and start working on the next set of twins..
Shame about Stan, but Thiem played like a fanatic tonight! Nope. I wouldn’t be able to stomach Murray any match no matter how I feel about Nadal. Katyani, the odds of Andy beating Nadal are nearly as much as Roger and Mirka producing another set of twins. Hey Sid, at the beginning of this year I predicted that this will also be Andy’s year. Well…. he has got to start sometimes right??? Come on Muzza, wake up dude 🙂 🙂 Are you still there?? By the way guys, aren’t you all dying to see a Rafa/Muzza-match??? How long has it been?? Going on four years since they played??? Nah, don’t be so sure Mark. Everyone talks about how clay is Andy’s worst surface and that he is not good at it, but to be honest, I was quite surprised when I saw him play DC against Fognini. He was actually really really good. He would have won, was it not for Fognini playing seriously the match of his life…. Thiem is defeating Wawrinka. He is playing good, young and one handed backhand player too. Hey we picked him at start of the year! Certainly rocking up the rankings! His win mirrors Dimitrov ‘s v Novak last year!! Interview with Feds agent Godsick, earlier tonight. ” The 32-year-old Federer did not specify if he would return for the Rome Masters next week, but Godsick said the 17-time Grand Slam champion intended to enter the French Open, which begins May 25. “Roger has plans to play the French Open, and he’ll take it step-by-step as to what he plays before that,” Godsick said in a telephone interview. Fingers crossed the babes are easy and Roger can perhaps get thru a couple of rounds and keep no 4 slot ahead of the French!! Agree with Wanda, even for the making babies, no one could beat Roger, true GOAT in every sense 🙂 🙂 🙂 . Guess how depleted Nadull, Nole and Andy, they could not possibly have two sets of twins 🙂 🙂 . This is another one for the tennis record book – which player who has won GL has got two sets of twins? 🙂 🙂 . Wanda, this is why this happy news of Leo’s and Lenny’s aarival has created so much resonance around world, not just among Fed fans but also among lots of fellow players, male and female 🙂 . Bethanie Mattek-Sands tweeted ‘this guy has got to leave some records to the rest of us …’ – I love it 🙂 🙂 . Isn’t “Leo & Lenny” a bit like, um… Leonard & Leonard? Massive congratulations to the entire family & wishes for some luscious nesting days for Mirka. I had told myself not to check again tonight, there wouldn’t be another announcement tonight. Looks like I was wrong AGAIN! At least I was right about Bautista, doing really well right now. Yes Bautista finished of very well, I was beginning to believe Nando could have done good in Madrid, but that diden´t happend. Wrong, Sid, there must be three more GS. This is destined to be 🙂 . Roger knows that before too long girls and boys will reach out to trophy cupboards to grab their favourite toys. Seventeen cannot be evenly divided to stop them squabling. It has to be 20 so that 5 each – peace. Roger knows that his math is better than ours 🙂 . They said he was down for the count. Who’s counting now, biatch? If we go back 5 years. Roger and Mirka just got married. She was pregnant with their 1st child. Who would have thought. Roger is almost 33 years old. Ranked at #4 in the world and a father to FOUR children! Congratulations to them. I’m really not too crazy about the names though. I guess Rome is a wait and see. Madrid is turning out to be a crap shoot. Who knows…someone ranked outside of the top 10 could be holding the trophy. Wrong on two counts, Susie. Selfish Question for me is how he protects his no 4 ranking. Berdych and Ferrer snapping away there, unless they get beaten today. Post Madrid he is still no 4 but that will change post Rome if he doesn’t play? He Cld always play Nice or Dusseldorf if he want some matchplay pre Paris but might hv to resign himself to no 5/6 in the French seedings if things don’t go his way next week. However, he Cld still play? When girls were born he played Montreal 2 wks later and reached QF. And Italy not as far away, he Cld commute on a daily basis!!! Anyway, hope everyone healthy, especially Mirka, who nerve gets enough credit for her role in Feds continued succes! Cheers! At the time, we didn’t know Mirka was having twins. Re Nadal….I can dream, can’t I? As for Nadal, he’s certainly demolishing Monaco, though that can’t be a surprise. Not sure there’s anyone left who can stop him. Almagro, twice in a row? Does sound like the stuff of dreams, doesn’t it? Yes, I do know Mirka was pregnant with twins. But 5 yrs ago we fans didn’t. Nadal must be very happy and feeling confident. YAYYY!!! I was suspecting this would come today, not yesterday! As usual, Roger gives us more!! Congrats to Roger & Mirka!!! MOET & LINDT CHOCOLATE ANYONE….. I guess Gilles Simon’s near-walkover vs Paire didn’t do him any favors. Lukasz Kubot, who replaced Rog in the draw, defeats Simon 7-5 2-6 6-4. Some nice quotes from Roger’s agent Tony Godsick. Ah, thank you for this, Wanda. I had seen some isolated quotes from Godsick re RG, but it’s wonderful to see these with the perspective of someone who’s close to Roger on what Roger’s priorities are. I love that what Tony Godsick sees, even as close as he is, is that while Roger “wants to accomplish everything”, a big piece of “everything” is “being a great dad”. Leave up to fanboys/fangirls to turn procreation into a contest. Yes, I’ve seen quite a bit of that on Twitter (with no reference to the mother’s genes playing, perhaps, a greater role in the incidence of twins) – though not in this article Wanda linked for us. Hi Thinker, always enjoy reading your thoughtful comments. Ohh! Forgot it!! Add to these…. Anyone know if they are identical twins? Perhaps a c-section was done at an earlier date than the due date. This could be why Roger pulled out of Madrid at the last minute. I just realize this, is this make Roger as tennis player with the most tweener and the most twin of all time? Hey Rita, I have never seen Agassi play (only a replay of a Wimby final against Sampras on tv, where he lost), but…. there is something about him. I do not like him. I admire and really applaude what he does with his foundation, but I cannot seem to like him, no matter how much I try…. In the article he says Roger had the likes of Roddick and Hewitt. But… that was also his time right?? And what will Roddick and Hewitt say when they read something like that?? Hey Katyani – in this article he says a lot of rash and rather rather stupid things. Hasn’t really thought it through has he? Which is why I called him a twit! I am a big Fed fan and the GOAT is so tired and old. Everybody wants their fav to be the GOAT because they think it brings Roger notoriety. Everyday a new former player comes out and says this player and that player is the GOAT because them in the spotlight. Roger said after he won Wimbledon in 2012 that he never felt he was better than other player because all the players have contributed to men’s tennis. Nadal hasn’t even passed Sampras slam count yet. He should be judge on his current achievements not what he might do. Roger holds the record for most GS, weeks at #1, has won all 4 GS, is tied for most titles at 3 of the 4 GS and has 6 WTF titles. Nadal has a winning H2H against most players on tour but still hasn’t done what Roger has achieved so how can he be the best player all time according to Agassi. I think some pundits were hoping Nadal that was going to keep Roger from achieving some these things. It’s like using Nadal to knock Roger down a peg. Agassi has been a fan of Roger and is a bit surprising he is shifting to Nadal bandwagon. I think Agassi was a big loser because of surface speed, as he had a complete game (much like Novak), but Wimbledon, US open and even Australian were too quick. He should realize that he could have won more if he was playing in later half of 1st decade of 2000s (i.e., had he been born 5-7 years later). Now put Sampras a decade later and he would have struggled to get to double digit slams (honestly I can see 4-5 Wimbledon & 2-3 USO at max). Similarly, put Nadal in 1990s, do you see him winning anything except the French open and maybe an odd Australian open? This is exemplified by the fact that he could never really get comfortable in indoors with faster courts and low bounce. But contrast that with Roger, he started with faster courts and attacking tennis and the transition happened in his early 20s, but he still won despite most of the surfaces continaually getting less and less conducive to his playing style. He was the best grass courter for a decade, best hardcourter for more than half a decade. Moreover, he was the 2nd best clay courter for half a decade. Nadal cannot claim to be the 2nd best hard courter (novak is) and Murray might inch him to be the 2nd best grass courter of 2000s. Agassi could prove to be right if Nadal gets close to Roger’s slam count and wins atleast 1 more wimbledon and US open/Australian open & gets about 200 weeks at no.1 & Roger does not add to his slam count. But I reiterate, Roger in 90s would have won plenty still, but the same cannot be said of Nadal in 90s or Sampras in 2000s. Herein, I put my argument that Federer is the greatest player ever since I started watching tennis (almost 23 years) and though I respect Agassi, I believe his assertion is premature. Agassi really hasn’t done his homework at all, has he. It always surprises me when ex-players make this sort of statement because really you would think they of all people would understand how complicated it is and how many different things need to be taken into account. From reading his autobiography he seems to have great belief in head to heads, probably the least reliable way of gauging a player’s worth. If Roger carries on playing for another 3 years his head to head against numerous players will inevitably get worse, but only a fool would say that makes him a lesser player. And Rafa has yet to match Pete’s GS record – let alone Roger’s! Agassi & McEnroe are just envious morons, you would think that they’ll be content with their own achievements, which is amazing compared to 99.9% of us, but no, they are still jealous idiots. The 300th comment, let’s see if this gets this post elevated to top 5th most popular on the blog. Ankur, I was too quick for Wrdpress, haha, I love this article, it is Sooo Sooo Popular !